And she wasn’t alone in her observations. Several moms from the neighborhood and her weekly rosary group had noticed the same thing. That next fall, as Halloween approached, they decided that instead of trick-or-treating, they would host an All Saints Day party at their parish, complete with a potluck, saint costumes, and tons of candy. “We knew would be really important (to have candy) for kids who had been trick or treating, and it was an absolute blast, it was really so much better than we expected,” Cunningham said. 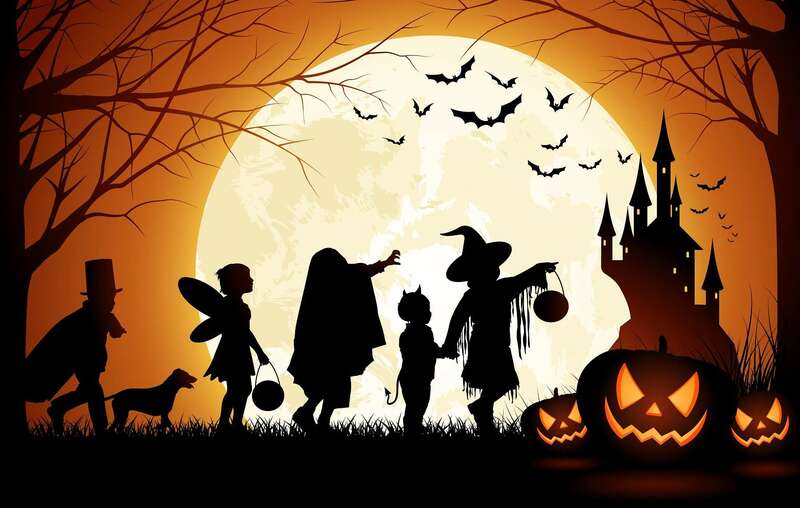 As some Catholics see darker elements of some Halloween celebrations, parents like Cunningham often face similar dilemmas – what to do about Halloween? Some historians claim that Halloween is a “baptized” form of Samhain, an ancient Gaelic festival celebrating the harvest and marking the beginning of winter – the time of year when a significant portion of the population would often die. The Catholic feast of All Saints Days traces its origins in the Church to the year 609, and it was first celebrated in May. However, in the 9th century, Pope Gregory IV moved the holiday to Nov. 1, so that Oct. 31 would become the celebration of the vigil of the feast – All Hallow’s Eve. While some historians believe this move was made so the holiday could coincide with, and thus “baptize”, the holiday of Samhain, other historians believe that this may have been because the Germanic church was already celebrating All Saints Day on November 1, and the move had less to do with Samhain than previously thought. He said when deciding what to do about Halloween, it’s important for parents to remember the Christian origins of the holiday and to celebrate accordingly, rather than in a way that glorifies evil. “Ultimately I don’t think there’s anything wrong with the kids putting on a costume, dressing up as a cowboy or Cinderella, and going through the neighborhood and asking for candy; that’s all good clean fun,” Fr. Lampert said. The danger lies in costumes that deliberately glorify evil and instill fear in people, or when people pretend to have special powers or dabble in magic and witchcraft, even if they think it’s just for entertainment. It’s also important to remember that the devil and evil spirits do not actually have any additional authority on Halloween, Fr. Lampert said, and that it only seems that way. “It’s because of what people are doing, not because of what the devil is doing. Perhaps by the way they’re celebrating that day, they’re actually inviting more evil into our lives,” he said. One of the best things parents can do is to use Halloween as a teachable moment, Fr. Lampert said. Anne Auger, a Catholic mom of three from Helenville, Wisc., said that while she lets her kids dress up in costumes and go trick-or-treating, she’s found that she has to screen the houses as they go, avoiding ones that are decorated with scarier things. “Last year we had this experience this person came to the door dressed like this demonic wolf with glowing eyes and it was like, what on earth?” she said. Kate Lesnefsky, a Catholic mother of seven children ranging from ages 3-16, said she thinks it’s important for Catholics not to shun Halloween completely, since it has very Christian origins. Lesnefsky said she lets her kids choose their costumes for trick-or-treating, as long as they’re not too scary or demonic. The next day, her children go to Mass for All Saints Day, and the family uses it as an opportunity to talk about what it means when someone passes away, and what it means to be a saint. “I have a sister that died when I was 19, so we talk about different people that we know in heaven, or my grandparents, and we’ll talk about different saints,” Lesnefsky said. Next PostWhy can't a priest ever marry?